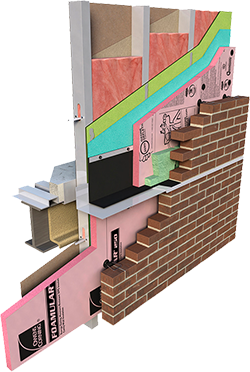 Thermafiber FireSpan mineral wool insulation products are designed to provide fire protection in curtain wall and perimeter fire containment systems. Curtain wall products are approved by: New York City Board of Standards & Appeals – (under BSA 214-73-SM & accepted by MEA-209-82, Vol. II). Also, MEA-189-93-M and MEA-190-93-M.